Write and submit an acceptable annual self-evaluation letter. For detailed information, see the Terry Scholar Handbook on the Terry website. During orientation you will meet with your primary advisor in the department of your major (keep in mind that “pre” categories such as pre-med and pre-law are NOT majors). They will help you prepare your class schedule for the fall and help you register on Day 3. As you prepare for advising, keep in mind it is recommended you take between 12 and 16 hours of credit your first semester (and other scholarships [merit scholarships in particular] may have their own hourly requirement). TERRY advising during orientation will be mandatory in West Hall prior to registration on Day 1 at 9:00AM. You will continue to be advised every semester both in your major department and by your Terry advisor. Your advisors are here to assist you, but you must assume responsibility for your academic success beginning with orientation. Your Terry Scholarship Award (half of the total listed in the award letter to you) will first come to the TTU Financial Aid office and becomes part of your scholarship account. Ten days before the first day of class, tuition and housing are paid from this account and the remainder (refund) is mailed to you to be used for other college expenses – books, etc. ​While you are here for RRO, you should sign up for direct deposit with the Student Business Services office. This allows any over-payment/refund to be directly deposited into your bank account. The refund process takes about 48 hours and is much quicker with direct deposit versus “snail mail”. SBS can supply you with specific details. Scholars have (8) eight semesters of funding. 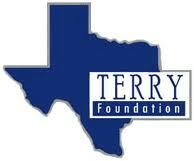 Students can request to use a semester of Terry funding for study abroad. It typically will be funded at the same rate as the previous semester. Additionally, students who are on track to graduate early have the ability to receive the remaining semesters of funding as they pursue graduate degrees or certifications. See the Program Director for details.